4 | 208 students enrolled. It is important that you should have a clear understanding of the type of instrument and the market before making any investment decision. This course will help you to do just that. Beginners Finance is a perfectly designed course which aims to enable the participants to gain comprehensive knowledge on the basics of the financial market in general and the stock market in particular. This programme will simplify different financial jargons like IPO, Currencies, Mutual Funds, etc. It will help the learners to gain knowledge on the procedure for opening Demat Account, the process of stock trading, risk management system, regulatory framework etc. They will also know about the impact of corporate actions in the stock market. If you are new to the stock market and want to know the basics, then this programme is perfect for you! Learn the basics of Financial Market in general and the stock market in particular. 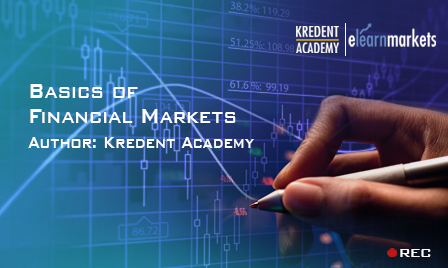 Gain knowledge on Primary Market Instruments like IPO and the workings of the Secondary Market and the role of different market participants. Learn about the trade life cycle, the process of trading, risk management, contract notes, etc. Gain knowledge on the Regulatory Framework, Regulators and the Investors redress mechanisms in the Indian Capital market. Students enrolling for this course will be able to measure their knowledge level by appearing for tests designed after each session to check and ensure the level of their understanding. An email query support, Question& Answer Community platform can also be availed by the learners for any kind of doubt clearance related to content while pursuing this beginners course. The course contains IPO case studies which will help the students to understand in a better manner by providing practical know-how to analyze the Capital market.